The situation in Germany after the First World War including early extremist uprisings (the Spartacist Revolt and the Kapp Putsch), the invasion of the Ruhr, and the causes and effects of hyperinflation. The appointment of Gustav Stresemann, the end of the occupation of the Ruhr, negotiation of the Dawes Plan, and the terms of Locarno Treaties. 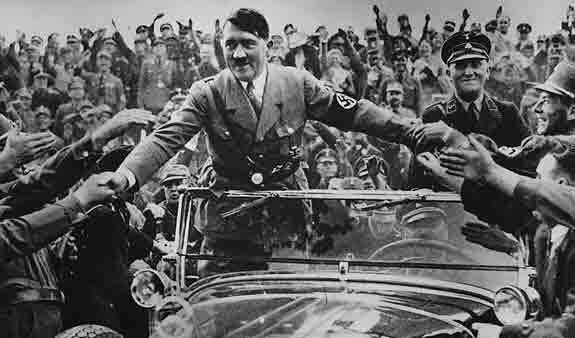 Hitler’s early attitudes, control of the National Socialist German Workers Party, the actions of the SA/Stormtroopers and the Munich (Beer Hall) Putsch. Hitler's imprisonment and Mein Kampf, and how the ‘Stresemann period’ of German history led Hitler to use legal means in an attempt to gain political power. The effects of the Great Depression on Germany; the Presidential election campaign of 1932; the appointment of Hitler as Chancellor in 1933; the Reichstag Fire and the Enabling Act; the Night of the Long Knives; the death of President Hindenburg. Repression: Nazi control of the police and courts, the SS and the use of concentration camps, and the Gestapo. Nazi achievements: assistance to farming communities, employment and improved working conditions. Middle-class and upper-class support. Propaganda: role of the Reich Chamber of Culture; the effect of the radio; use of films; the 1936 Olympic Games in Berlin. Nazi systems for young people; the role of women and families within Nazi society; the experiences of minority groups under the Nazis.